This morning I was in line at 6:50 AM to get tickets. ( I thought Pamela Anderson was going to be on and the line was going to be long) I heard was " Paris Hilton should be shot. I wish I had my gun on my celebrity tour. She is Shaw Skank Redemption." It was too early to listen to the assassination of Paris Hilton. Christopher Kulik has a strong feelings against rich girls who don't add to society. He might come back tomorrow. I hope he enjoyed paying to go see their homes. In line I met Jamie, Amanda, Jill, and Jim from Antioch Ca. and baby Lily. Lily wanted to go to the show but they check ID. I also met a lot of people from Canada. Claudio and his sons Daniel and Anthony from Toronto. Katie, Jo-Anne, Scott from Toronto! Jackie Paranzino and Dan Hoicowitz who live in Washington. They might come back tomorrow! The pages are very patient with people who ask the same questions over and over and over. Great Job Ben! The New pages are learning from the best. The Pages gave me a sticker today. That was so nice. I love the NBC Pages! I went to my computer class with Rithy who I met in line last month. I didn't know how I got Drew Carey as my screen saver. 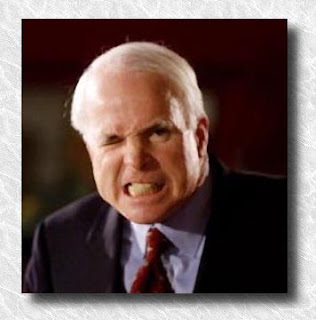 Sen. John McCain was informative, political and...whatever NEXT! 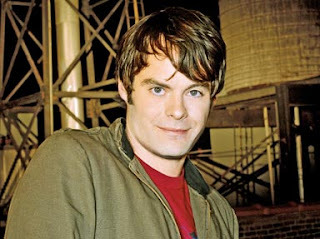 Bill Hader from "SNL" & "Superbad". Jay shocked him with a clip of his past work. Bill was shocked. (okay I'm reaching here) The show today was okay. Ben Harper and the Innocent Criminals. The song was good. Ben just didn't give enough energy. Ben looked and his fingers during the whole song like he didn't know he could play the guitar. 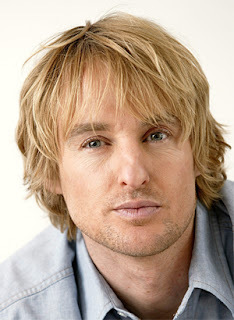 Okay what is wrong with Owen Wilson? Attempted suicide! Your fake behind unsuccessful suicide attempt was Boo. That is the oldest trick in the book. You knew your brother was coming over so you planned it perfectly for him to find you. You didn't want to die. If you did you would be dead. The goal was for Kate Hudson to run back to you. You look like a punk. Kate didn't leave her husband for you. She was going to leave him anyway. You were the escape goat. You made her laugh. You make me laugh but I don't want to marry you. Kate is a second generation star. Her Step father Kurt Russel looks better than you. Everybody knows if you are going to screw... screw up. What if you died. It would have made the news for a week. Then your brother would become more famous. Nobody knew who Jim Balushi was until his brother died. I guess your brother will become Ben Stillers new side-kick. Look Owen you need someone who thinks you are a screw up. And don't have your brother around because he is hotter than you. So get yourself together. Kate ain't the only woman in the world. You are very talented. Hey fix your nose! I mean if you were going to kill yourself what's getting your nose fixed. You are very talented. I believe that you can be a screw up Owen. Now patch up your wrist and go . Don't let a woman or anything make you go to these extreme. I faked the same way with rat poison in the 8th grade. My sister laughed and walked over me to go to her room. You didn't want to kill yourself, you wanted attention...any attention from Kate. You knew it would be all over the news. Just take care of yourself and the right person will show up. Kate don't want you! And you don't want someone to take you back because you're crazy. That's not attractive. Heal. I love your work Owen and I'm sure millions do too.